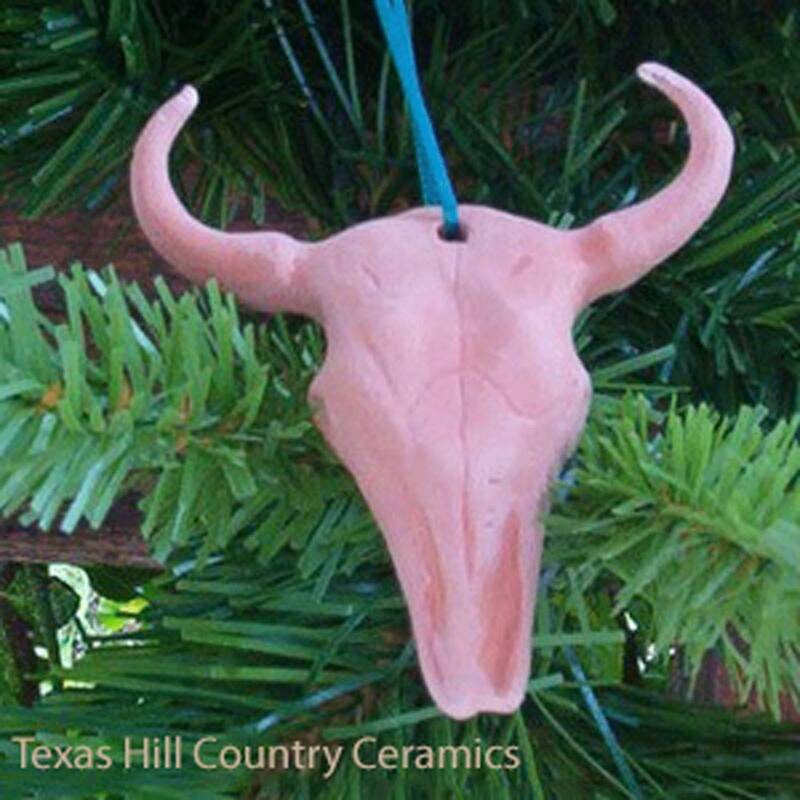 Set of 3 Texas Longhorn Cow Skull Christmas Tree Ornaments made of Terra Cotta ceramic clay. Ideal for decorating Christmas trees or wreaths. This western style steer skull head ornament makes a great decorative addition to any Christmas Tree or front door or gate wreath. Each skull head is ready to hang. Ribbon color may vary from photo.